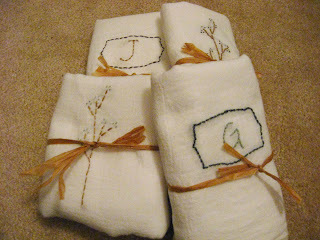 Next, free hand embroidery using any stitch you want and you're done. You can also use permanent pigment based ink and stamp the image onto the towel. Then try adding small beads for the small berries on the branches.